Post-traumatic stress disorder (PTSD) reportedly affects approximately 7.7 million American adults, with members of the military as one of the high-risk groups. After experiencing severe trauma or life-threatening events, the mind and body will either go into mobilization mode (fight-or-flight) or immobilization. When the nervous system is unable to return to its normal state of balance, PTSD occurs. Depression, substance abuse, and anxiety disorders are often connected to instances of PTSD, particularly for veterans returning from war. According to the U.S. Department of Veterans Affairs, the reported cases of PTSD are jarring and continue to rise. A range of 12 to 30 percent of veterans were diagnosed with PTSD in a given year, including those from Operations Iraqi Freedom (OIF) and Enduring Freedom (OEF), the Gulf War (Desert Storm), and the Vietnam War. Susan Quaglietti, who is currently in the Ph.D. in Psychology: Creativity Studies Specialization program at Saybrook, has been a nurse since 1978 and identified a need to do something creative to help the mental state of veterans. 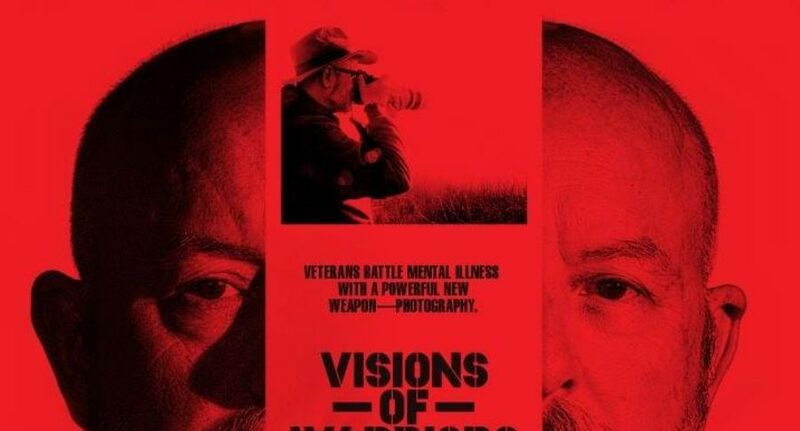 The 2016 film “Visions of Warriors”—showing at the Vail Film Festival on March 31 and April 1, and the 15th Oakland International Film Festival on April 5—features Quaglietti’s work to develop the Veteran Photo Recovery Project, which uses photography to help veterans cope with PTSD and other mental illness diagnoses. We sat down with her to discuss her background, her most memorable moments with veterans in the program, and what drew her to Saybrook later in life. Saybrook: How did you get introduced to the director/writer/producer of “Visions of Warriors,” Ming Lai? Quaglietti: I asked the editor over at the Washington VA if they would post a story about the Veteran Photo Recovery Project, and they agreed to it. They interviewed me along with a few veterans. Ming actually saw that link, tried to contact me and ended up sending a letter. Saybrook: What was your initial reaction to the idea of a feature documentary about the Veteran Photo Recovery Project? Quaglietti: I couldn’t imagine who would want me on film! But I took it as a great opportunity. You just never know where life’s going to take you. Saybrook: You have been a nurse for 40 years, but what is your connection to photography? Quaglietti: In my 20s, I thought about majoring in art and eventually took a few photography classes in the late-2000s, but I never thought I could combine art and nursing together as a professional goal. However, after 30 years at the VA, I noticed the need to address mental health issues with veterans and coordinate this treatment with chronic care. As providers, we must include the impact of coping with substance abuse, PTSD, and other psychological challenges on the outcomes of overall health. I ended up doing a post-graduate fellowship at the Menlo Park VA that focused on Psychosocial Rehabilitation for people with severe mental illness as I was working as a nurse practitioner in Cardiology. The fellowship, in part, inspired me to integrate medical care with the creative outlet of photography as a form of recovery. The Veteran Photo Recovery Project was born, and the rest is history! Saybrook: What topics are included in the five workshops that make up the Veteran Photo Recovery Project? Quaglietti: The five sessions cover focusing, framing, processing, viewing. The sixth session is a presentation to the community, including other members of the class, friends, family members, and hospital staff members. It’s an opportunity for them to use photography to showcase their emotional journey and to get insights to continue to grow as a person during their recovery process. Saybrook: What is the most memorable piece of art you’ve seen from a participant? Quaglietti: I have three. The first one was from a female veteran with a history of PTSD who chose to display her six images in the shape of a cross. During her presentation with three horizontal and three vertical photos, she commented that she had to cope with “the cross she had to bear,” but was eventually resurrected with recovery. With the intention of making the spirit of the photos rise from the ashes, the art actually helped her transform and ascend into a better place. The last one was a Vietnam veteran who has severe PTSD. He used colors and images metaphorically and symbolically to show his PTSD experience, and the horrific things he witnessed while in combat in Vietnam. In one particular image, he used the roots of a tree but changed the color to bright blue to resemble the neural pathways of his brain. He was trying to show what his brain felt like having PTSD—cold, blue, and dark. Saybrook: What do you hope people come away with after seeing “Visions of Warriors”? Quaglietti: Change is possible if you’re open to it. Creativity isn’t just used with art, but you have to be creative in order to map your own life course. Art and photography can be an avenue to explore that. Saybrook: And now you are pursuing your Ph.D. at Saybrook—what inspired you to enroll? Quaglietti: I chose Saybrook for the program’s creativity specialization within the Psychology PhD program. And I, to this day, have not found any other university that offers something similar. Being creative can impact your psychological perspective. I really believe in interdisciplinary, integrated care. As an advanced practice nurse, I’ve had to negotiate being a liaison for a lot of different disciplines: medicine, psychology, nutrition, pharmacy, and more. I’ve had to represent and be a champion for veterans. So now I’m moving into understanding more of the psychological issues as a primary focus of my profession, knowing that I already have an excellent background in chronic illness. I’m completing the circle so that I have a broader scope of services I can offer patients. My goal is to be a bridge between the worlds of medicine and psychology for holistic patient care. Saybrook is helping me get there.